Aside from being the owner of Afrika newspaper Levent is also a well-known Cypriot figure. He writes for Politics, one of the biggest Greek Cypriot newspapers and had also been a candidate hoping to represent Cyprus for the European Parliament. There have been continuing disputes between the Turkish settlers and Cypriots living in the northern parts of Cyprus since 1974. According to Levent, this attack was directly ordered by the Turkish government. 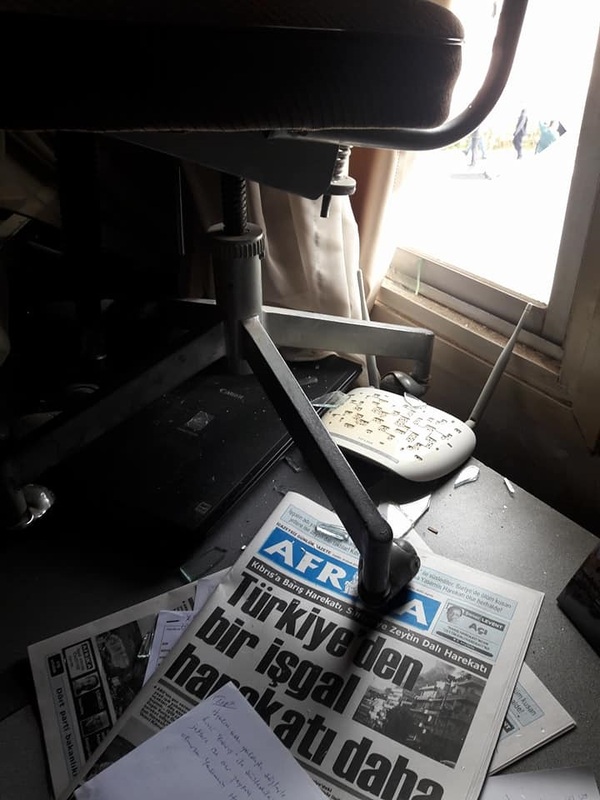 The attack was sparked after the newspaper published an article on Sunday mentioning “another invasion attempt by Turkey.” This article criticized Turkey’s involvement in Syria and compared it to the 1974 military “occupation” of northern regions of Cyprus. Turkey is the only country that recognizes the Turkish Cypriot declaration of independence but has managed to keep 35,000 troops in the area. “The demonstrators chanted profanities against the newspaper and the Turkish-speaking Cypriots,” said Levent. According to him, it was Erdogan himself who had called on Turkish people in northern Cyprus to give a “lesson” to the Africa newspaper. 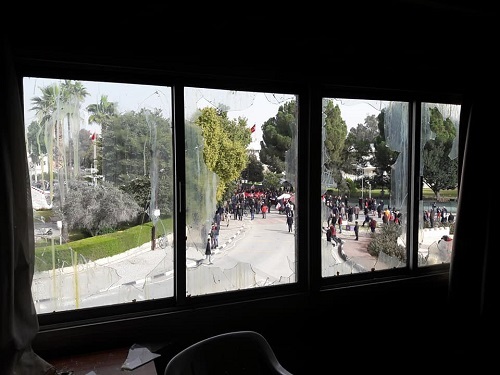 Mustafa Akinci, the president of the controversial “Turkish Republic of Northern Cyprus” tried to visit the newspaper in order to calm the situation. 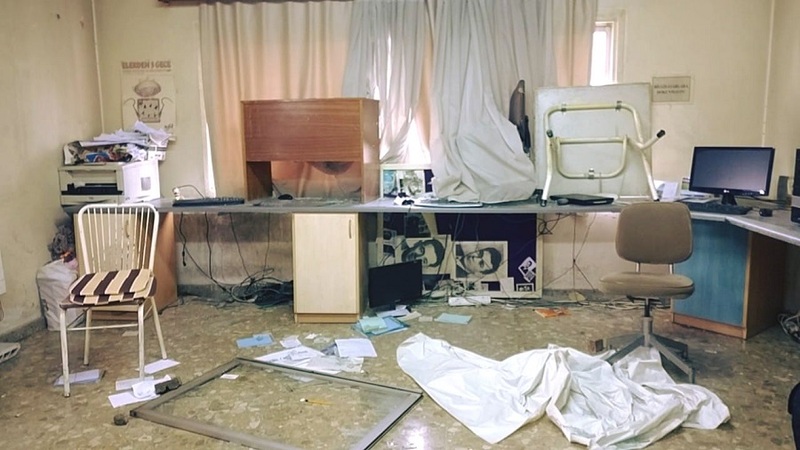 However, the protesters allegedly tried to attack Akinci as well. Levent believes that this attack is the beginning of a new era and believes that tensions will continue to rise. The World Union of Turkish-speaking Cypriots and Cypriot NGOs have released statements to support Afrika and have asked the world to help. The Republic of Cyprus has stated that they will ask the United Nations and European institutions to help protect the freedom of speech and free press in Cyprus. Hello, I’m Olena Kagui and I am passionate about writing. I write articles about politics, travel, fashion and more. 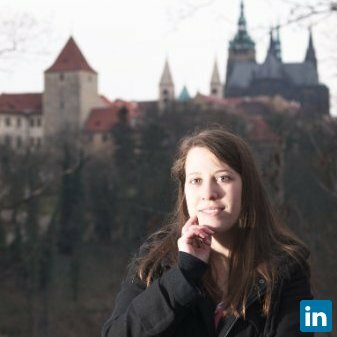 I can do interviews in 5 languages (English, Czech, Ukrainian, German and Russian) and I enjoy blogging. Recently I have been doing more creative writing. Right now I am trying to publish my romance novel manuscript and I am constantly looking for new opportunities to contribute to newspapers and magazines. Previous post When will the faith merchants' attacks on society and the state be stopped?